Power Solutions is accredited to produce designs for asset relocation and connection of new developments on the networks of Ausgrid, Essential Energy and Endeavour Energy. Compliance with Australian Standards is only the starting point. We offer aesthetic, cost effective and energy efficient lighting designs for roadways and large external spaces. 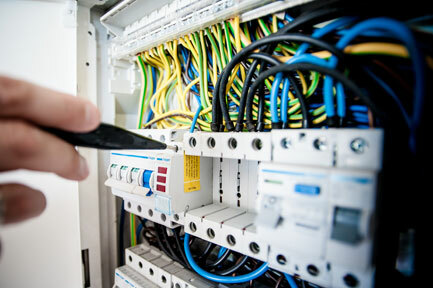 In conjunction with our primary focus of delivering ASP3 designs, we offer a range of electrical consulting services to assist our customers optimise the safe & efficient use of electricity. In conjunction with electrical reticulation design we offer a one stop shop to also design communication pit & pipe systems for NBN, Telstra or private communication systems. Quality: Our experienced team is dedicated to producing detailed, cost effective and smart designs that minimise costly construction delays. Timeliness: Our management systems provide clear indicators to our project team of agreed target dates and facilitate follow up of any outstanding items by our support team. Communication: Our clients enjoy regular communication about the progress of their project and have direct access to the lead designer.